people than their renting counterparts. The study shows that home ownership directly contributes to people’s feelings of safety, security, self-esteem, and maintaining more positive mindsets. Homeowners feel a considerable sense of control, which directly correlates to a boost in mental health. Multiple observations and studies conclusively show home ownership is a definite move towards happiness. Owning a home doesn’t just contribute to better mental well-being and a happier lifestyle, in fact, owning a home can improve one’s physical health too. Studies of homeownership and health outcomes found that homeowners and children of homeowners are generally healthier than non-owners, even after controlling for factors such as income and education levels. There are even statistics that relate homeownership to decreased rates of stress-related diagnoses. Owning a home can make you more stable, healthier, and happier — the numbers don’t lie. Did you know there is also a strong link between owning a home and your children’s educational success? Children of homeowners are much more prone to being in the same educational systems, with the same group of children from their neighborhoods for prolonged periods of time, compared to children whose parents rent, which directly impacts educational development according to research. Statistics also point to decreased numbers in behavioral problems for children living in homes. The inherent feelings of stability and security have been proven to be a positive force in child development, meaning that owning a home isn’t just healthy for adults, but kids too. Perhaps the greatest impact of owning a home, which encapsulates each of the previously mentioned benefits, is the level of homeowners’ community involvement. From civic responsibilities to social, political, and infrastructural involvement, homeowners tend to take more pride in their neighborhoods, and thus, a more active role in developing, maintaining, and curating their surrounding area’s appeal. Studies conducted at Harvard University suggest homeowners even vote more than renters! When people love their neighborhood and their homes, they seem to be generally more prone to be healthier, happier and more active than those who don’t. 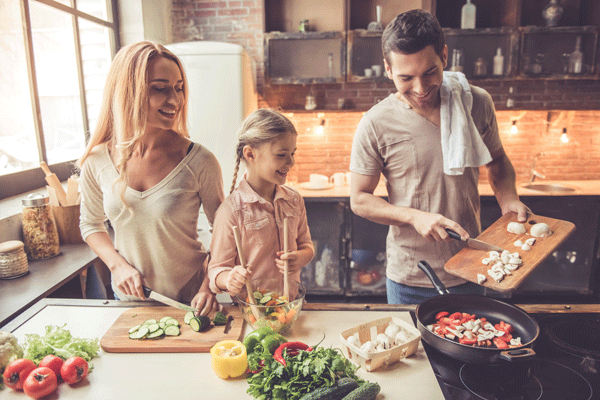 Just food for thought, but owning a home seems to benefit way more than just your wallet — it can benefit your whole well-being.